Marlette’s own 18 yr. old Professional Singles Rider Brandon Kitchen will compete in the American Flat Track motorcycle race at world renowned Daytona International Speedway on March 14, 2019. Kitchen will be a Rookie for the 2019 American Flat Track Pro Singles Series piloting three of Donley Excavating’s custom built highly modified Honda CRF450R’s reaching speeds upwards of 100 mph against some of the best riders from around the world. Brandon has been racing motorcycles at Lucky Thumb M/C in Deford for the past 14 years and this year has earned his Professional number #105 for the 2019 AFT race season. 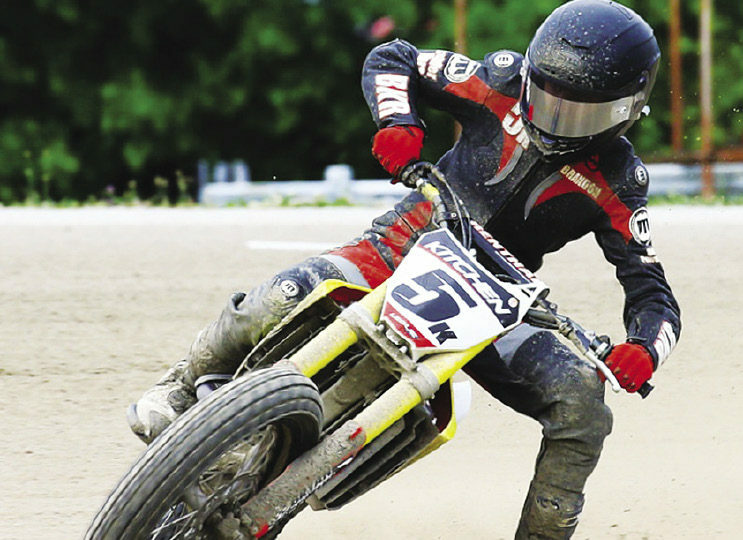 American Flat Track is the oldest, fastest growing motorsport in the country dating back to the 19th century battle between Harley Davidson and Indian motorcycle companies. Known by his friends as BK, Brandon Kitchen will be contesting all 18 rounds of the AFT Singles Series across the country from New York to California and all points between. You can watch this Rookie and his Professional career unfold on ESPN, ABC and NBC Sports kicking off the 14th.